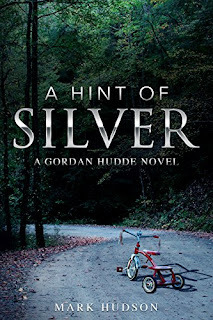 As a former ranger and CIA field operative, Gordan Hudde was used to operating far from friendly support; he never thought that one day that would be the case in Otter, Georgia his adopted new town. Sheriff “Big” John Schmidt convinces Hudde that he may be able to help on a missing children’s case and Gordan is forced to decide between the rules of the law and the rules of what is just. Powerful forces try to derail Gordan, the sheriff’s department, and the FBI agent who has been sent to help. Every minute could mean life or death and when a fourth child disappears, Gordan is put to the test. I gave the first Gordan Hudde novel, A Deep Purple Hue, a well deserved 5 stars and perhaps I enjoyed it so much that any further instalments would struggle to live up to the bar that was set. As I previously mentioned in my review of the second book, An Angry Orange Sky, Mark Hudson loves numbers even more than me. Every detail to the last millimetre is described - does it really matter whether someone is 6ft 7" or 6ft 8"? Just say he's tall. I work with numbers every day and my brain naturally seeks them out so it took me a while to get into the story. Children across America are being abducted to order, to satisfy the sick perversions of some of America's richest and most powerful people. Gordan Hudde stumbles across this case when looking for a new town to set up home. He takes a liking to the town of Otter, probably something to do with the mouthwatering barbecue restaurant, and gets involved in the search for missing children being abducted from their homes. If anyone can find them, Gordan can! A Hint of Silver is definitely not for the faint-hearted and some people might find parts of it distressing. There are some disturbing scenes which I would much rather have been left out, but equally I'm sure that real victims of such crimes wish it had been left out of their ordeal too. I think anyone who has children would struggle to read this book and, although it is fiction, the fact remains that this sort of thing does happen in the real world. I'd be interested to see where Gordan's story takes him next in the fourth novel, An Emerald Abyss, and I'd like to see the slide in my star ratings picking back up to where I know they have the potential to be.